Hammered copper rectangle necklace with Sterling Silver snake chain and Sterling Silver wire wrapped Sea Glass. 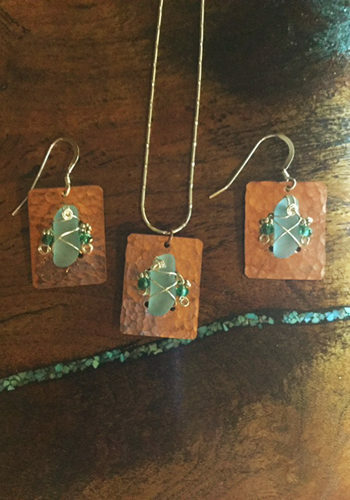 Jewelry lovers will love this stunning Hammered Copper Rectangle Necklace. 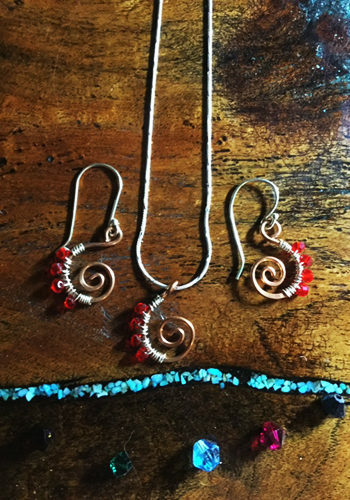 You will want to collect each piece of this wonderful collection of copper jewelry. 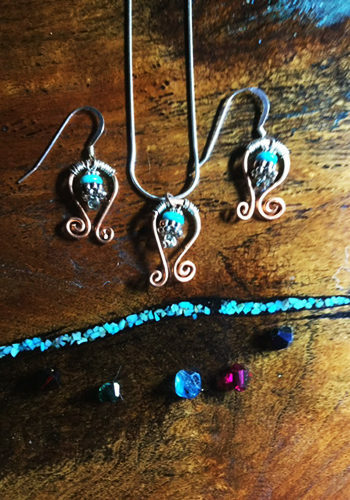 In fact every piece of jewelry features a stunning piece of Hammered Copper adorned with beautiful sparkling Swarovski Crystals . 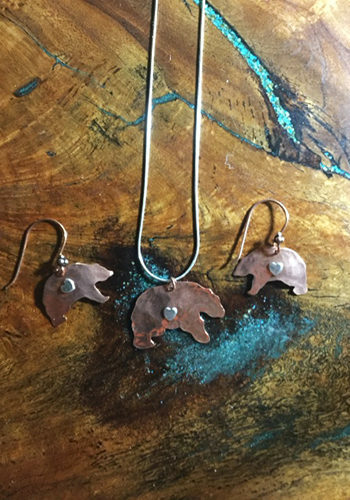 Alaskan Reflections carries Hammered Copper Earrings as well as Hammered Copper Necklaces. 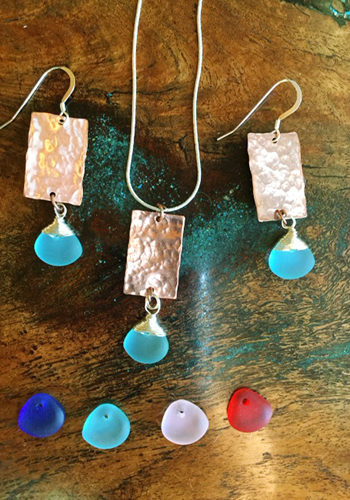 In all honesty these fabulous Hammered Copper Rectangle Necklaces with their dazzling colors will have you turning heads wherever you go.